We stock thousands of part worn tyres for your car, 4x4 or commercial vehicle at a fraction of the cost of new tyres. And an extensive range of budget tyres to name but a few. Each one of our part worn tyres is tested to ensure you receive a quality product. We stock part worn tyres in many sizes and to suit any budget. 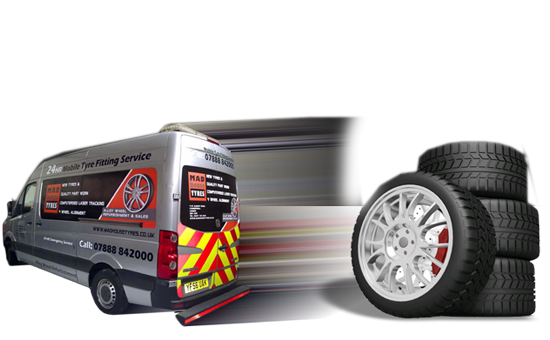 Here at Madhouse Tyres, we supply specialist sizes including 18", 19", 20", 21", 22" and commercial tyres for vans and transits. Anyone is welcome to come and see the quality of our part worn tyres and for retail customers we offer a while-you-wait fitting service. Whether you are a business or an individual Madhouse Tyres have the tyres for you!